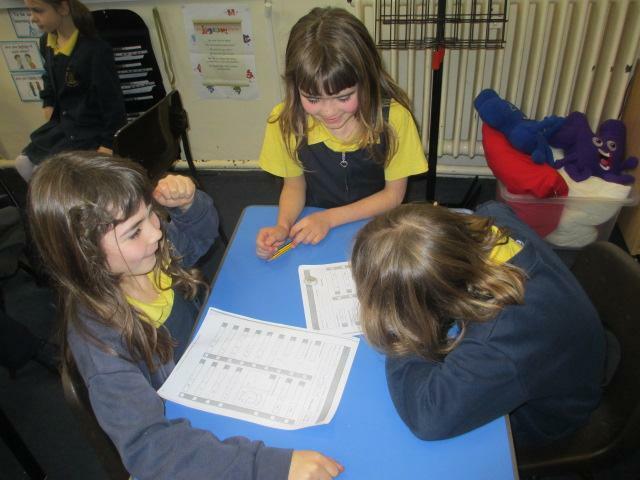 We started the week by re-looking at our caterpillar values and what the mean to use as a school, both in our learning and outside of the classroom. 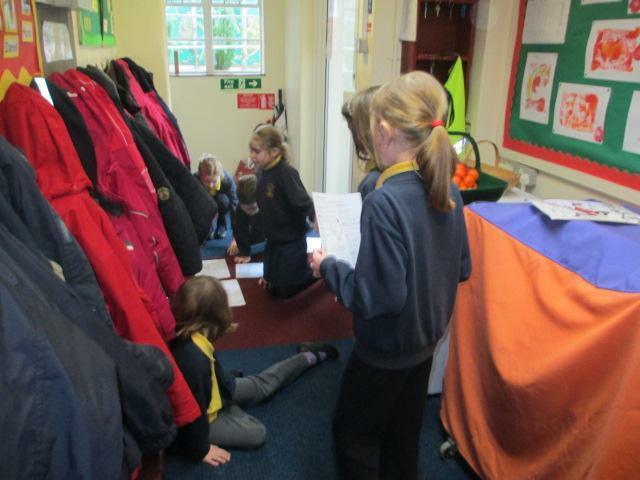 We reminded ourselves of where they come from- 'Gallations' in the bible, and how they link to the fruits of the spirit. 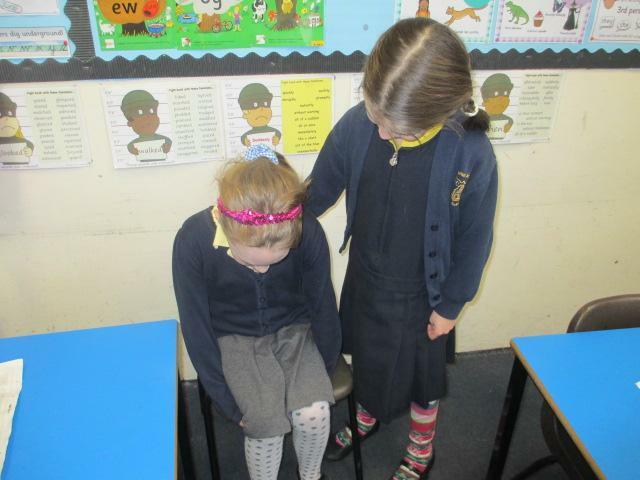 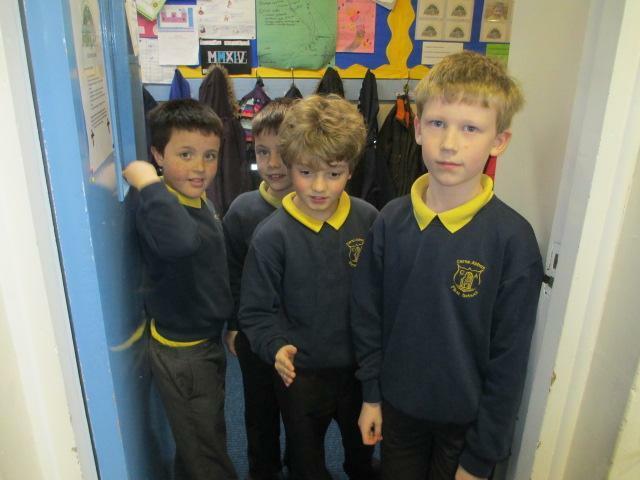 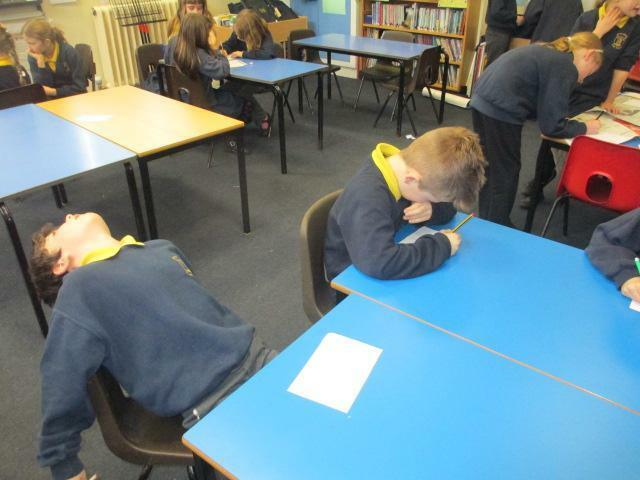 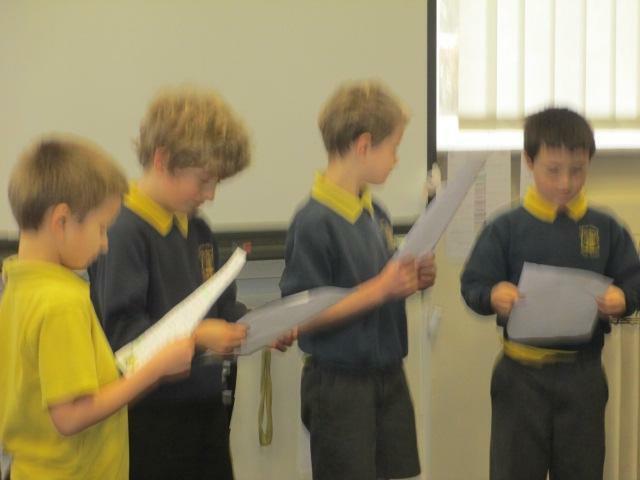 Can you tell which of the 7 C's we are acting out? 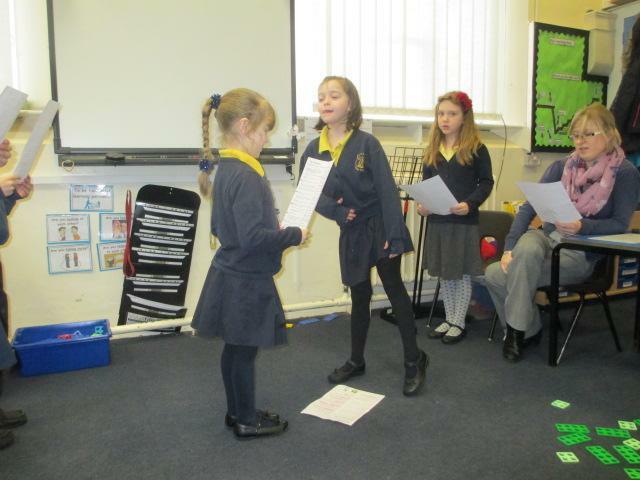 -Caring, Confident, Conscientious, Communicative, Co-operative, Considerate, Courteous. 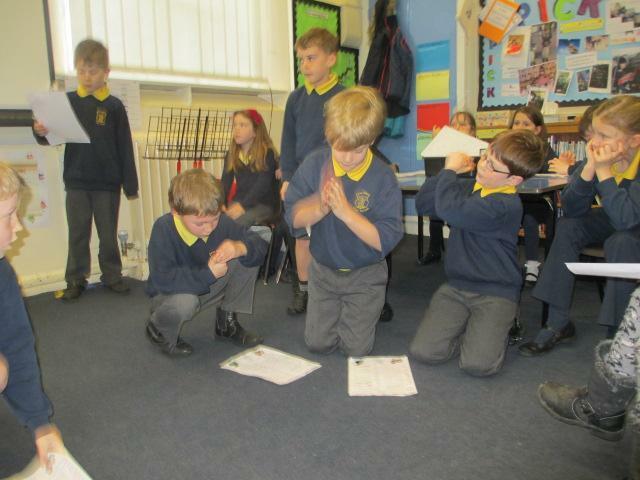 Thinking about the C's on monday has really helped us with our learning this week, and instead of acting we have been using them. 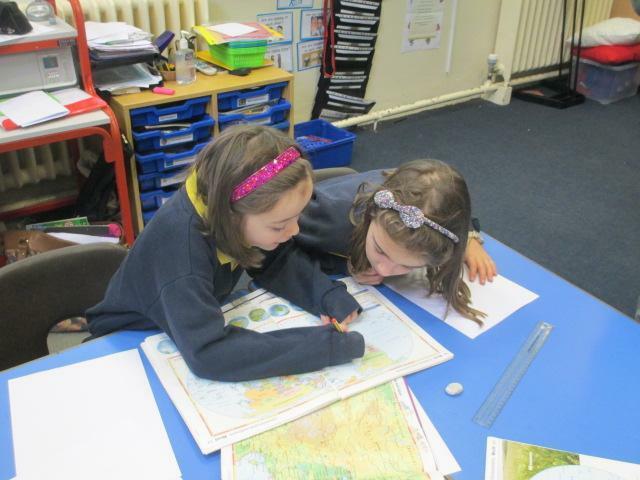 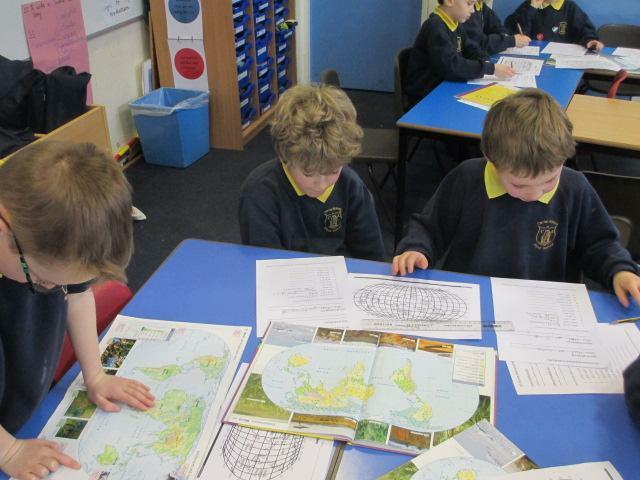 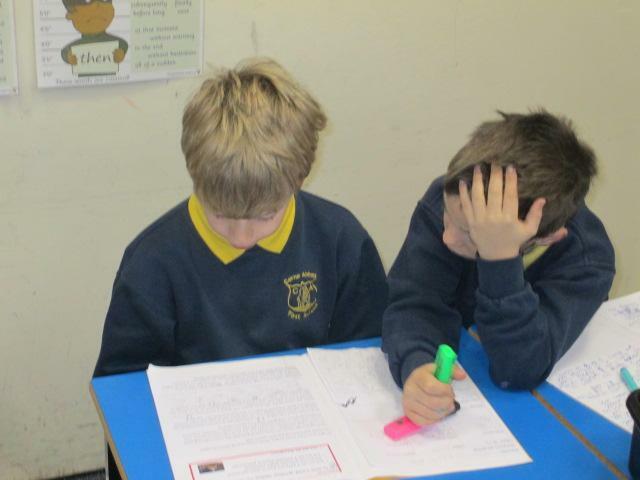 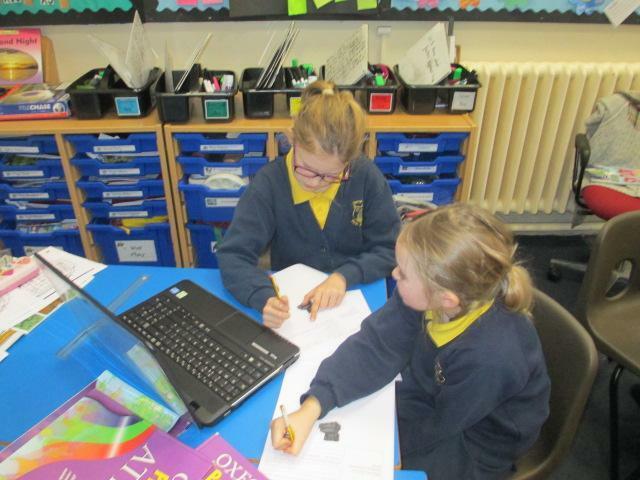 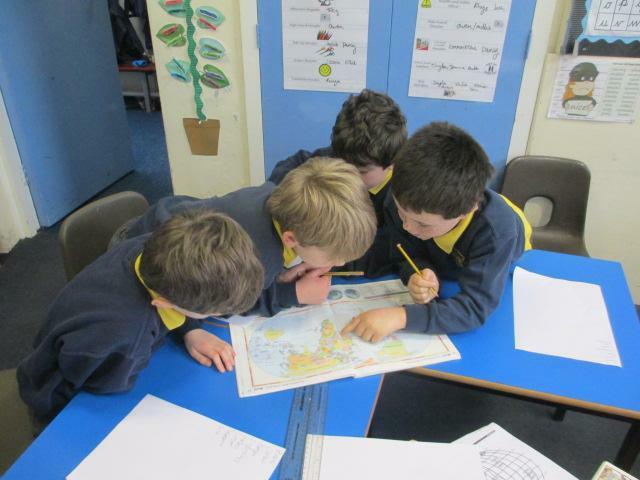 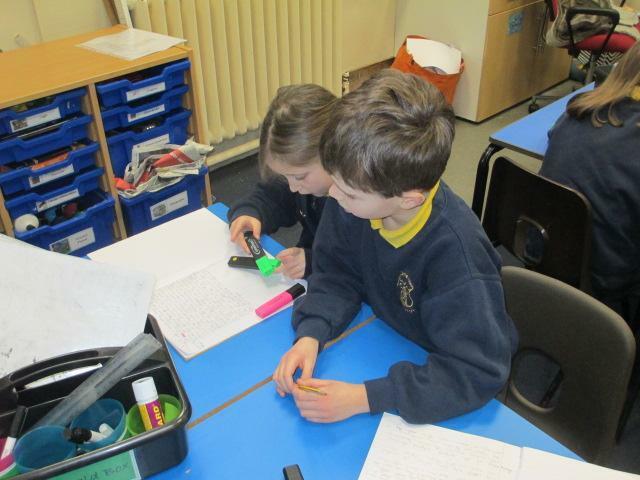 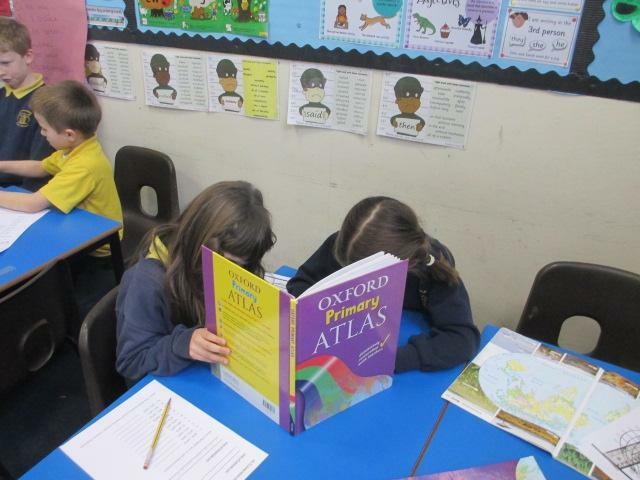 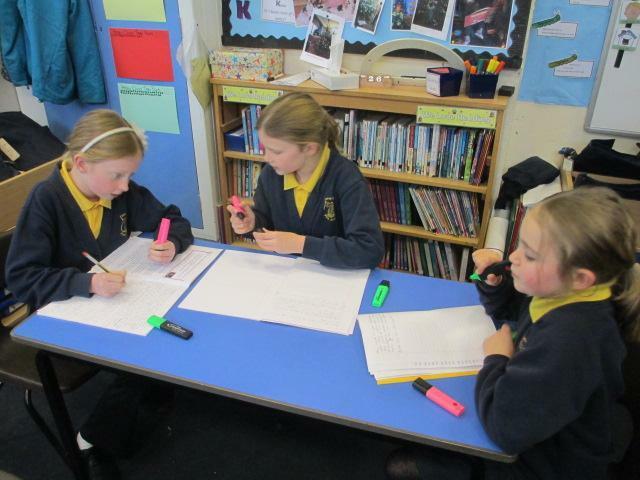 We have done some brilliant learning in Literacy. 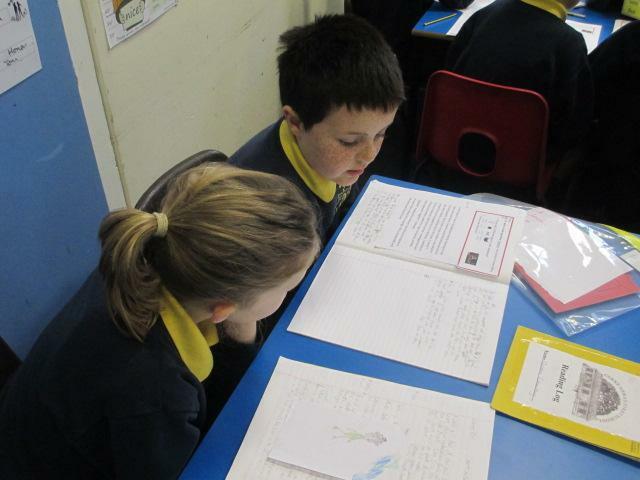 We conscientiously finished our Sci-Fi stories, and then considered our learning with a learning partner. 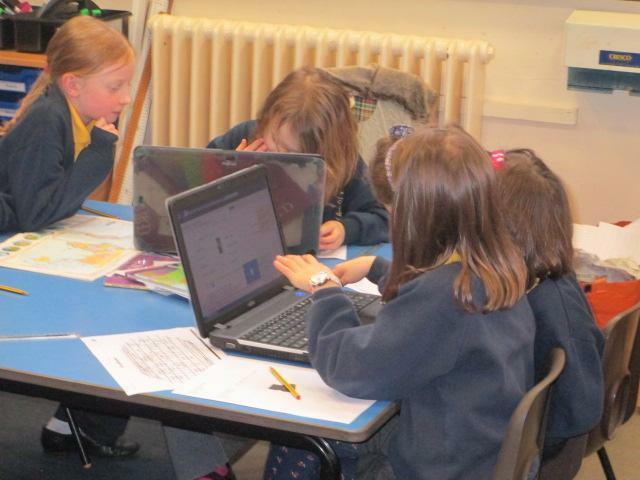 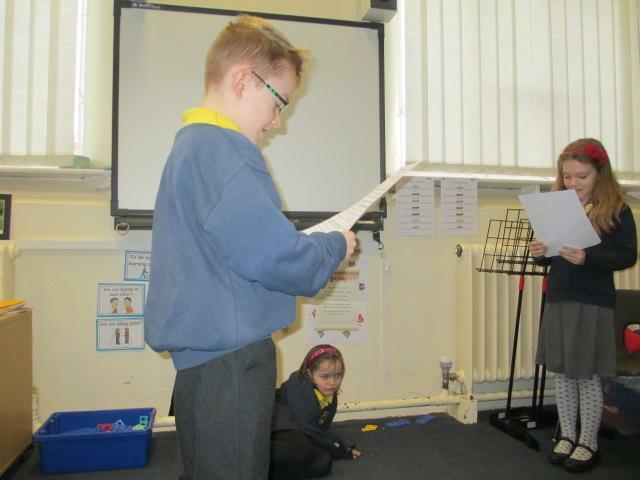 In the last part of the week we have started looking at scripts as we are going to write our own. 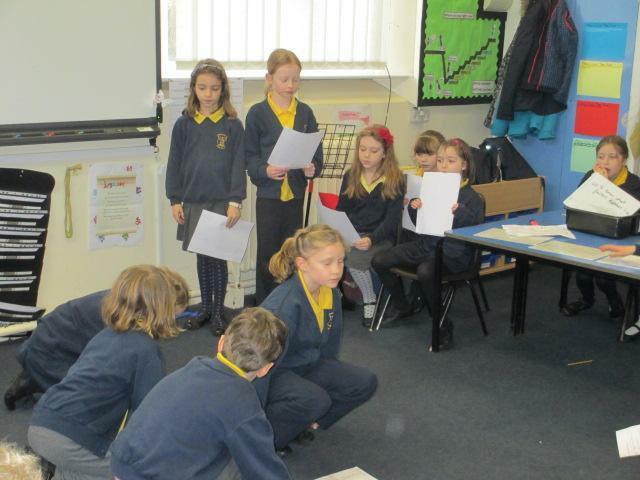 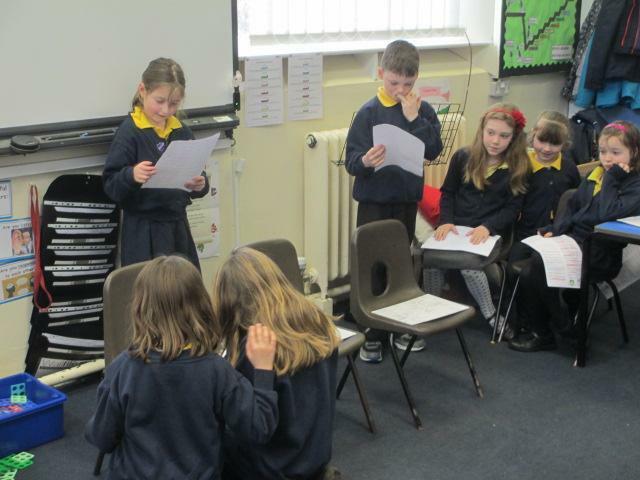 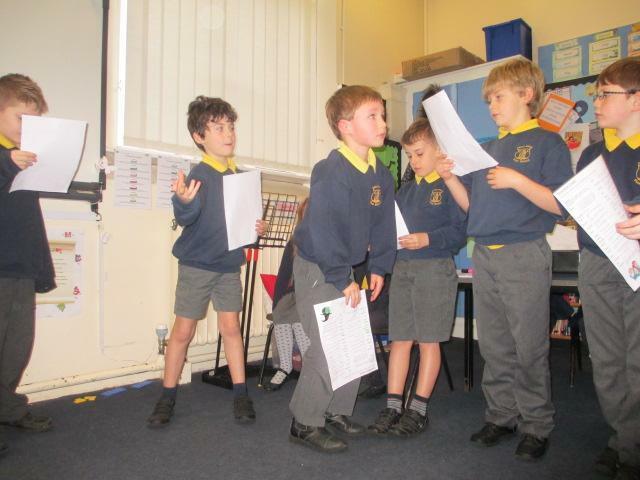 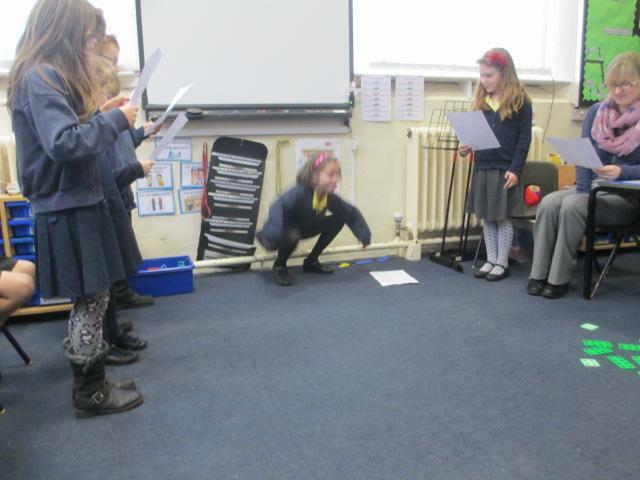 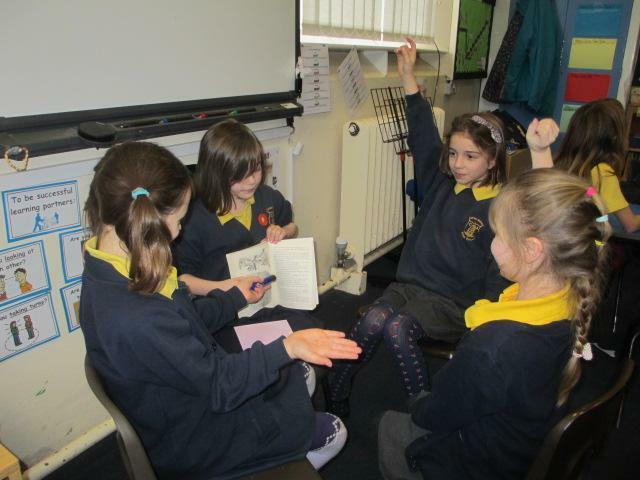 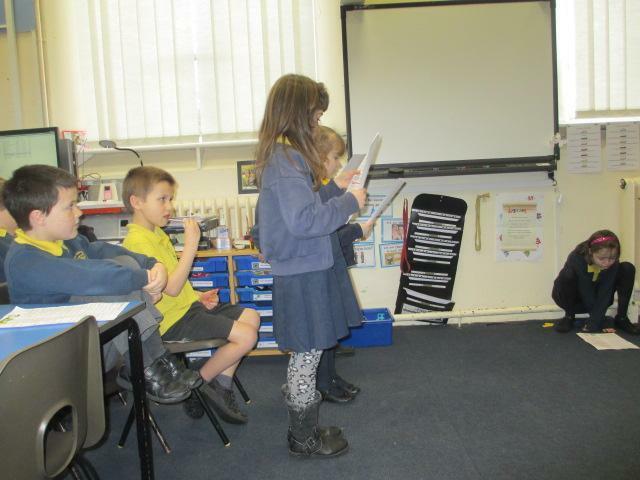 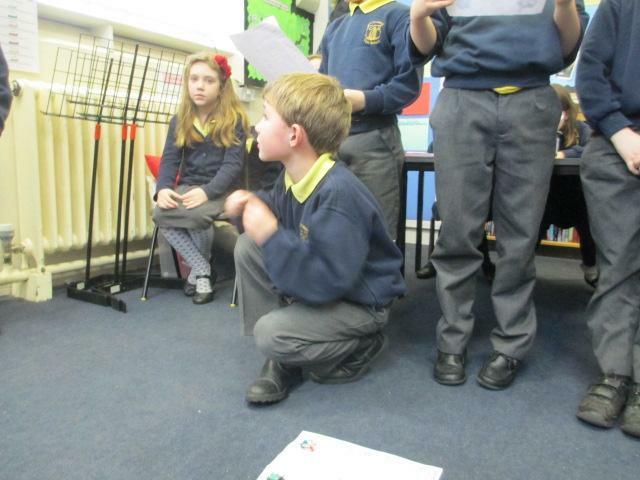 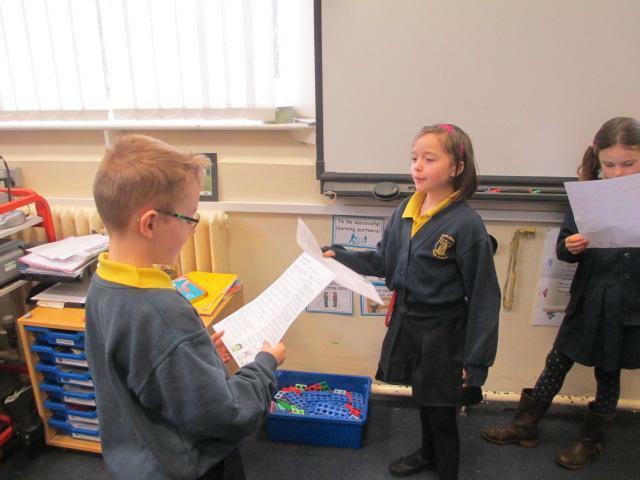 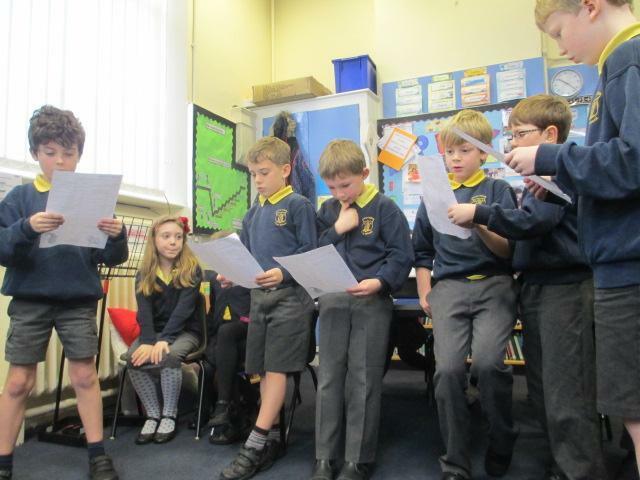 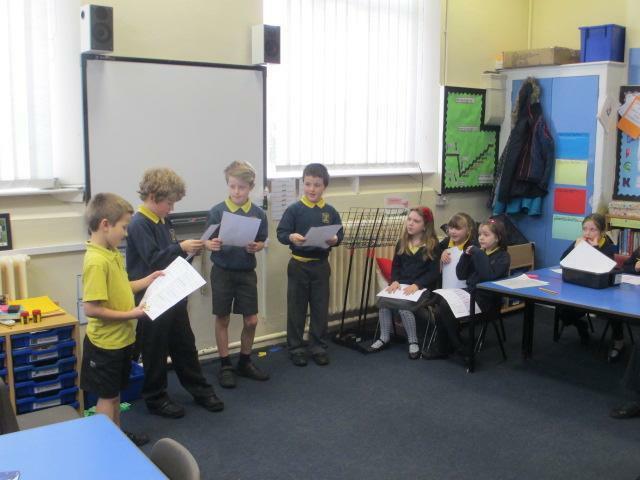 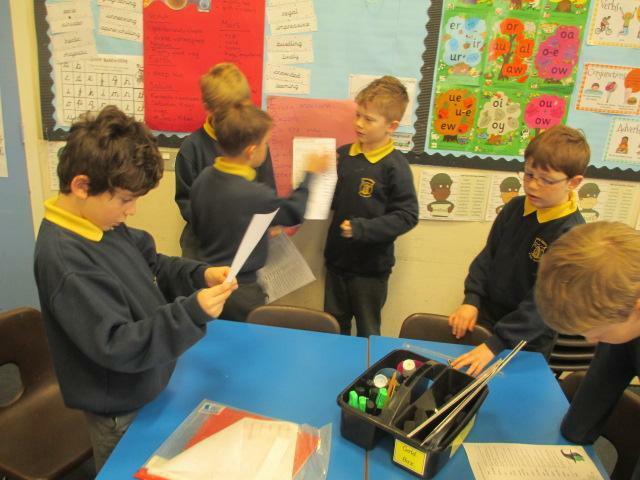 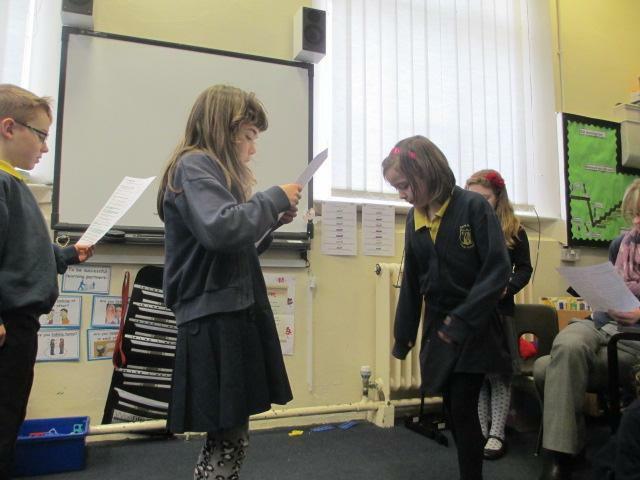 We used scripts already written, and in groups acted out short plays. 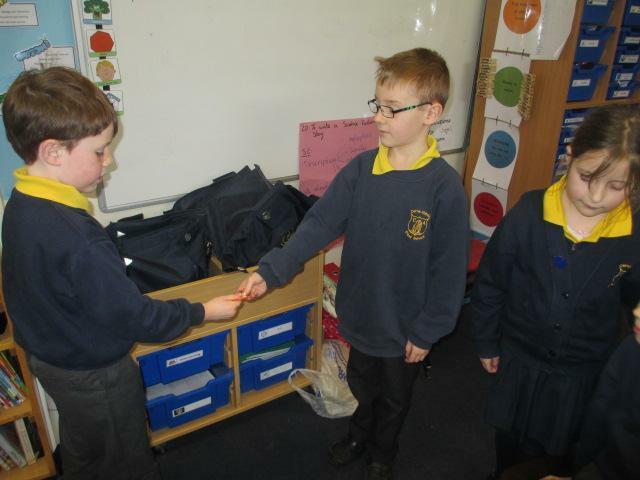 We were so co-operative and communicative.